To the out of towner, it may be confusing to decide on which Palm Beach you should move to. There’s North Palm Beach, Royal Palm Beach (tip: it’s not on the beach), Palm Springs, Palm Beach Gardens, and then there’s the actual Palm Beach and just west of it, West Palm Beach. Face palm, right? Well, although Palm Beach was the first incorporated settlement, it’s West Palm Beach which has grown to be one of the largest cities in Florida. West Palm Beach draws a certain appeal to both retirees and youth. While it has an image of being one of the best places to retire, the city has developed as a destination for a younger crowd. So, if you are looking for a weekend music festival such as Summer Daze, or to go golfing (West Palm Beach is one of the best destinations for the avid golfer in Florida), you’ll be satisfied either way. 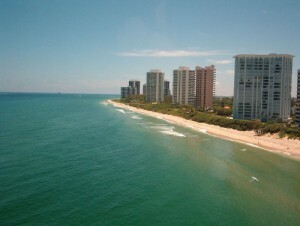 If you are looking for an area with a high quality of life, then Palm Beach County might be for you. It’s Florida’s wealthiest county with an average income of $44,518. Although the majority of West Palm Beach’s economy draws from tourism, its top employers are Pratt & Whitney which focuses on aerospace engineering and Columbia PB Healthcare System. West Palm Beach’s technology industry has increased rapidly over recent years with companies such as Quantachrome Corporation, Seatorque Control Systems, People’s Trust Insurance Company, Sol Inc., and Ecosphere Technologies. It goes without saying that the opportunities available in West Palm Beach are vastly underestimated. Are you a professional looking for a young area that will put you in the middle of just about everything? 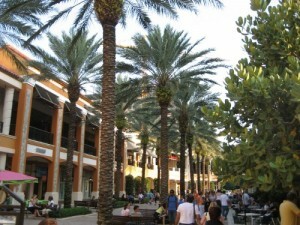 CityPlace is recent development near downtown West Palm Beach that focuses on new urbanism. What is best described as a lifestyle center, this project combines apartment living, shopping, and dining into one fully integrated upscale urban neighborhood. There are a variety of apartments for rent in CityPlace that range from townhouses to loft apartments, and studio apartments to luxury apartments. CityPlace is just down the street from the beach as well as Palm Beach Atlantic University and cultural attractions like the Norton Museum of Art and the Kravis Center for the Performing Arts. If living in a high-rise does not spark your interest, you might want to try CityPlace’s southern neighbor, Flamingo Park. This historic neighborhood is characterized by tree-lined streets, its friendly neighborhood atmosphere, and the large variations of architectural styles that range from Spanish Mission to Mediterranean Revival, Frame Vernacular to mid-century Ranch. The neighborhood has received very high ratings and reviews from residents and visitors alike. If you are looking for a house for rent, this is the place to look. Compared to most beach towns, West Palm is fairly inexpensive. However, the closer you are to the water, the more expensive your apartment is going to cost. So, if you are looking for cheap apartments that are still close to West Palm’s action, look towards areas like Westgate, Schall Circle and Palm Beach Lakes. These areas offer a variety of apartments with all bills paid and homes for rent that can go for as low as $500 per room. Using the right apartment finder is the key to finding these places. Although apartment searching can be difficult, it is persistence that is key. Also, knowing your options by using an apartment guide is the best way to find those more specific pet-friendly or utilities included apartments. If you need any further help, take a browse through our renter’s resources. In particular, use our apartment touring question checklist to make sure your apartment is up to par and our “How Much Rent Can I Afford” calculator to see what your ideal rent should be based on your income. RentLingo is your trusted apartment finder in West Palm Beach. We hire local experts, such as former property managers and locators to anonymously tour and consistently rate and review every available place. They share their honest and unbiased perspective with you, so you know how every rental ranks in the area. Because our experts tour every property, we can offer consistent apartment ratings across every region. So unlike finding a Backpage or Craigslist rental, you can trust these apartments are verified and trustworthy: whether it's a cheap studio or a one bedroom with all utilities paid all the way up to a nice house for rent or a luxury condo.